On May 31, 1889, Johnstown, Pennsylvania faced one of the worst disasters in our nation's history. On that tragic Friday, the Lake Conemaugh dam broke, killing 2,209 people and injuring thousands more. Johnstown Flood National Memorial shares this story. Here visitors can see significant sites of the epic event and learn about lives forever changed. Begin at the visitor center where you can view two floors of exhibits. Watch the park film, Black Friday, and talk with a ranger. Stroll around the Unger House, once the home of Colonel Elias J. Unger, president of the South Fork Fishing & Hunting Club. The interior is not open to visitors, but from the porch, you'll find an impressive view of the remains of the South Fork Dam and the now dry lake bed. Imagine what Colonel Unger must have been thinking as he gazed down at the dam on that fateful morning and knew that the structure that he was responsible for maintaining was in danger of failing. Visit the north and south abutments of the South Fork Dam. The dam, originally built for the Western Division of the Pennsylvania Mainline Canal, stood 72 feet high and 931 feet across. Ten feet wide at the top and 270 feet wide at the base, the dam held five sluice pipes at the center base. The woodwork from the culvert is still visible at the bottom of Breach of the Dam Trail. Exploring the dam abutments is the best way to take in its immense size. At the time of its failure, the dam held back an estimated 20 million tons, or 3,600 million gallons, of water. When the dam failed, eyewitnesses reported that the lake drained in only 40 minutes. The South Fork Fishing & Hunting clubhouse is usually open during the summer months. The clubhouse served as lodge, restaurant, and meeting place for the retreat's 61 members. In addition to the clubhouse, the retreat featured 14 cottages; eight of which still stand. They are marked with historic plaques on Main Street, also known as Cottage Row. These buildings are not open for public visitation, but do maintain their original paint schemes, and have seen few minor architectural changes. Every year, on May 31, the park memorializes those killed by this disaster by lighting 2,209 luminaries around the former dam and at other park locations. On that day, the park waives entrance fees, and visitor facilities are open for extended hours. Throughout the summer, the park offers daily one-hour Journey around Lake Conemaughvan tours. 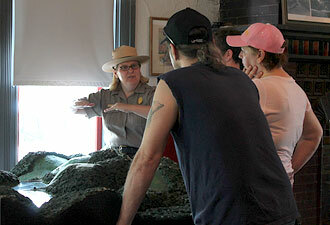 These ranger-led tours depart three times a day and provide meaningful context to visitors as they explore the historic sites within the park. Reservations are not necessary but are encouraged. 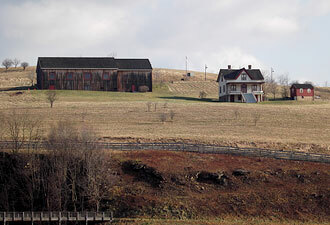 Johnstown Flood National Memorial, 79 miles east of Pittsburgh, is easily accessible from US Route 219. 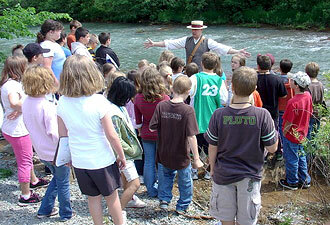 Plan to visit for the whole day or as part of a visit to nearby Johnstown museums and/or historic sites.